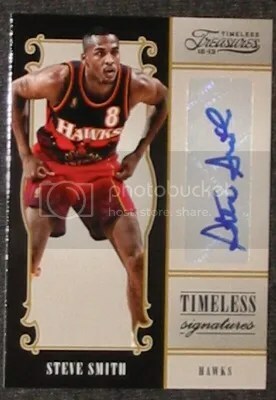 Congrats to alphasigma74 on being the lucky winner of the Steve Smith 12-13 Timeless Treasures – Timeless Signatures Auto #’ed/199. Once alphasigma74 sends me their mailing address I will ship this card ASAP. Thanks! 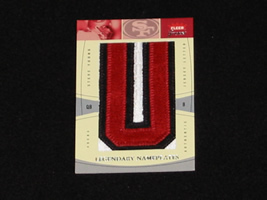 This contest is for a Steve Smith 12-13 Timeless Treasures – Timeless Signatures Auto #’ed/199. Good luck!!! The 150-card base set is all printed on thick card stock. 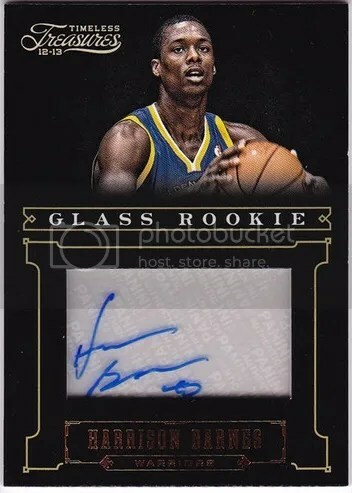 I’m not sure what Panini means when it comes to the Glass Rookie signatures that claim to be using “never-before-seen autograph technology”. They’re nothing more than a sticker autograph placed on a clear piece of plastic. 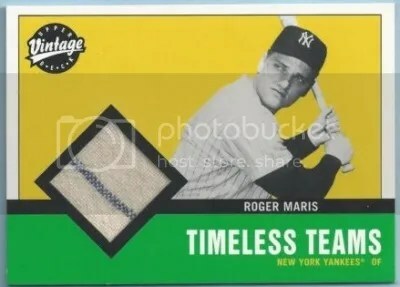 I say if you’re going to make a card with a see-through element, make the entire card see-through using acetate. 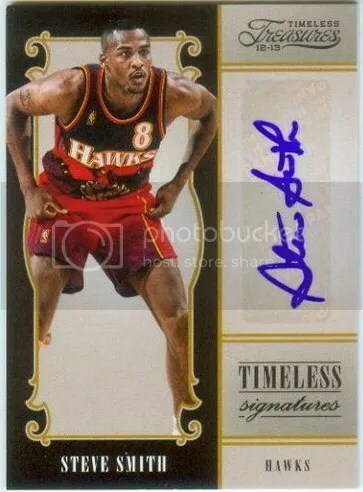 Panini has started to use larger sticker autographs for certain cards. I noticed this with 12-13 Absolute. 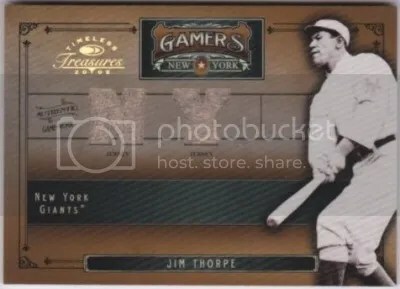 If you make the sticker as big as the card itself, is it considered an on-card autograph? Probably not. 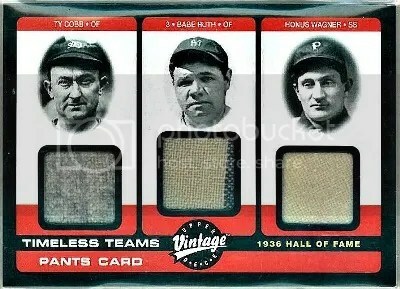 Also, Panini claims that each box should have one on-card autograph. All three autographs I pulled are stickers. You should find three “hits” inside each tin. 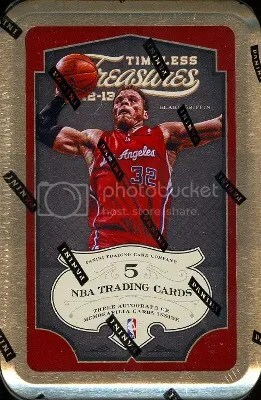 Overall, I give 2012-2013 Timeless Treasures 2.5 basketballs out of 5 (1=poor & 5=perfect). I see it as your average Panini quick-thrill basketball product. 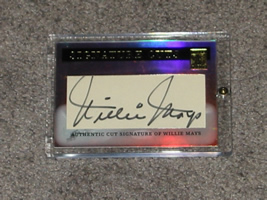 This product does have its share of on-card autographs that don’t look half bad – Time To Shine and Treasured Ink. Some will have that boxed-in feeling more than others. It was fun to break!